The latest documentation is available in the Fullstop github project page. Aim of the project is to enrich CloudTrail log events. In our scenario we have multiple AWS accounts that need to be handled. 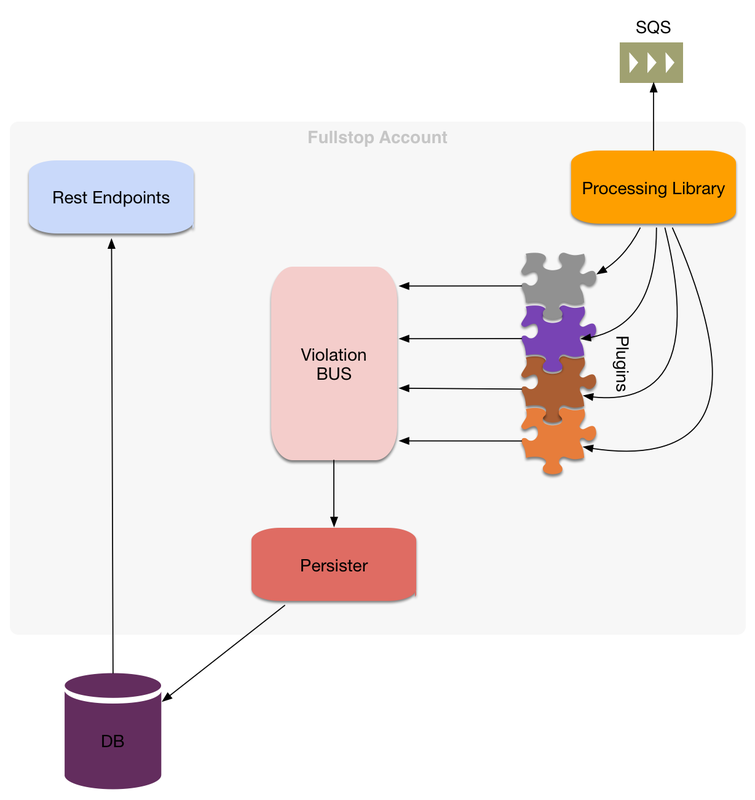 Fullstop will then process events collected from CloudTrail. 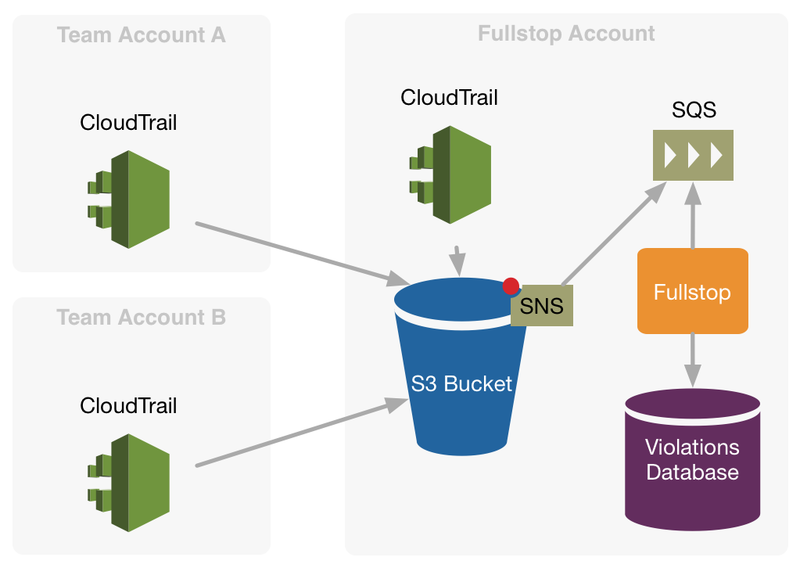 To enrich CloudTrail log events with information that comes from other systems than AWS, we should only configure fullstop to do so. 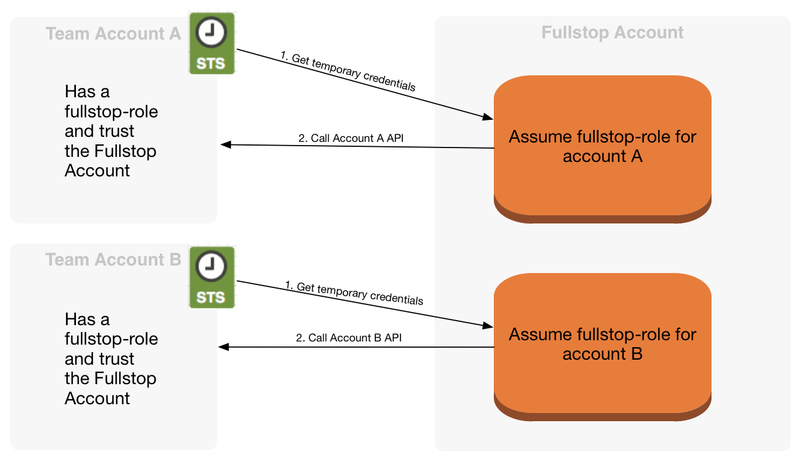 Fullstop can even call the AWS API of a different account, by using a cross-account role. The account that is running fullstop should therefore be trusted by all other accounts in order to perform this operations. You can resolve batches of violations with the resolve-violations command which has similar filtering/matching options as list-violations.